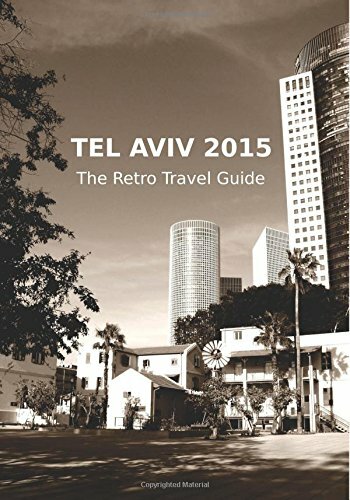 [PDF] Tel Aviv 2015: The Retro Travel Guide | Free eBooks Download - EBOOKEE! Description: Tel Aviv. This is where modernity merges with Levantine traditions the city celebrated its 100th birthday in 2009 and is home to the world's most extensive collection of buildings designed in the International Style. The history of the Jewish immigrants who followed their vision of a Jewish state that would give them protection and unite the Jewish people can still be traced. This b/w travel guide invites you to beautiful beaches, historical witnesses, fascinating architecture, cultural fusion of Orient and Occident and the busy nightlife of Tel Aviv, the city that never stops. Please note: the print version is in black and white. No comments for "[PDF] Tel Aviv 2015: The Retro Travel Guide".